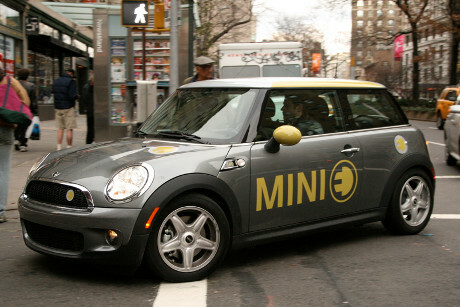 Users of the MINI E electric car have been reporting their experiences with the vehicle back to MINI USA since the beginning of the test. They’ve been giving detailed reports on what it is like to live with the car and how it is to drive a pure PLUG IN electric vehicle. Private customers of the MINI E electric car test have had special “residential charging stations” installed in their garages. The charging stations consist of two high voltage systems, one is a 220 volt 32 amp system that allows full charge in three to five hours of the MINI E vehicle and the other is a 48 amp system that can charge the MINI E in two to three hours. 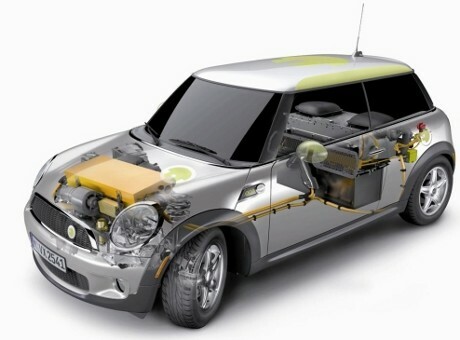 Each MINI E electric car comes with a 110 volt cable which permits the drivers of the MINI E to charge the vehicle at other locations awya from the home garage. Users feedback so far has reported an average driving range of 100 miles (160km) on a single charge, this is taking into consideration variable driving conditions of the real world. There are reports however of some users achieving 141 miles on a single charge. BMW’s first foray into all electric PLUG IN vehicles with the MINI E is a step forward in their commitment to produce vehicles of alternative energy to meet the worlds demands in highly populated metropolitan areas.